My host, Jussi, used to work in this restaurant, quite close to apartments set up by a benefactor for artists and their studios. 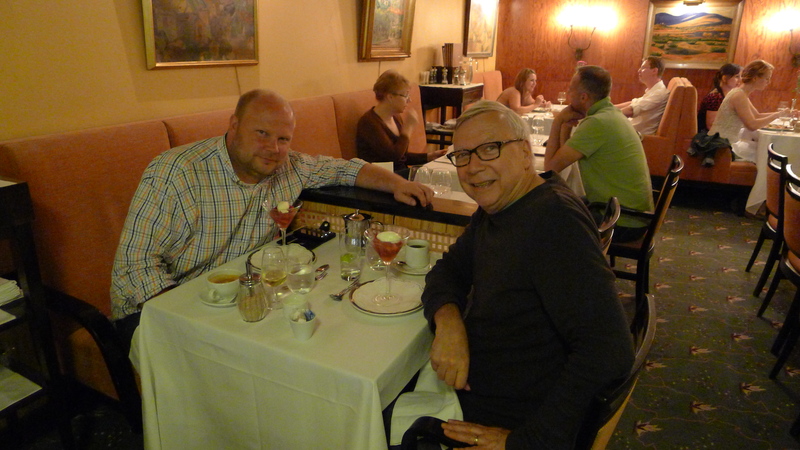 We have a lovely dinner; Jussi introduces me to Finnish actress who comes over to say hello. He has chaplained her through a marriage breakdown. Jussi was also on the committee that designed the chapel in the market square. 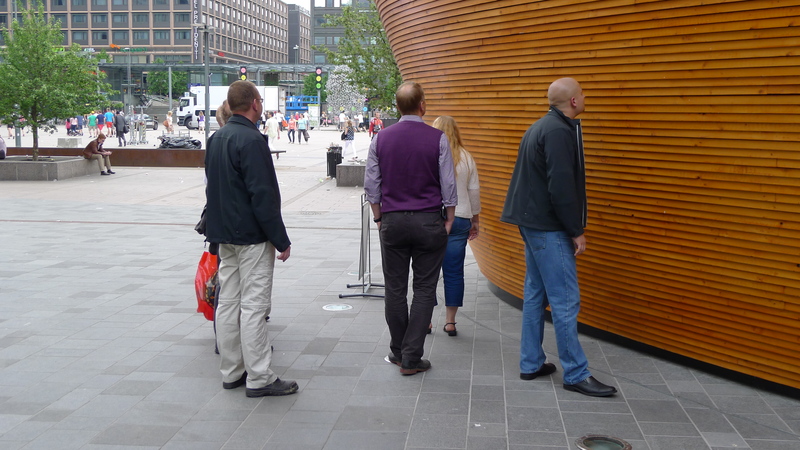 It is shaped like an egg and the exterior is all Finnish timber. People can drop in and talk to the chaplain who is there or drop in to the quiet womb-like chapel for prayer or meditation. Jussi is responsible for chaplaincy in Higher Education in Finland. We have long discussions. Though our contexts are so different, we have so much to share in common. This entry was posted in Cultural and Vocational Discussions on June 8, 2013 by Geoff Boyce.